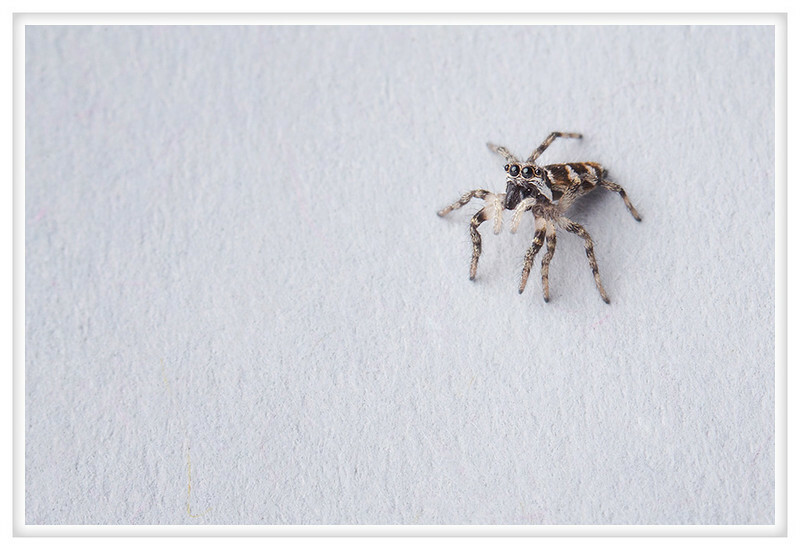 After the small jumping spider yesterday when I found this little guy enjoying the morning sun I couldn't resist. He came into my little studio and showed off his skill at leaping great distances. Although quite small and rather busy he was relatively easy to wrangle and mostly cooperative. Spiders have a season in Portland and it is starting already. They are appearing all over the place and in a few months they will have grown quite large but for now they are small and cute.